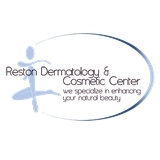 Reston Dermatology & Cosmetic Center (Reston) - Book Appointment Online! At Reston Dermatology, we offer a full scope of care, from evaluation and treatment of common skin problems to the latest in cosmetic surgery. Dr. Syed Amiry, a board-certified cosmetic dermatologist, along with his highly trained staff of Physician Assistants and Aestheticians, have dedicated their practice and careers to the art and science of skincare. We offer dermatological care for all ages, from treatments for rashes and acne to skin cancer. We are particularly proud that we’ve established lasting relationships with our patients over the years. We strive to offer the best care in a consistently conscientious and caring environment. In addition to general dermatology, cosmetic dermatology is a specialty of our practice. Dr. Amiry’s compassionate approach to skincare, combined with the latest technologies available, help you to achieve optimal personalized results. He has practiced aesthetic and anti-aging medicine extensively for more than a decade, with expertise in liquid face lift, fillers, Botox®, and lasers for facial rejuvenation. He especially enjoys the process of guiding and consulting our patients through the very personal process of addressing initial concerns, followed with ongoing help in maintaining a lifetime of optimal skin health and beauty. Having earned the respect of both his patients and his peers, Dr. Amiry continues to be one of the most sought-after Cosmetic Dermatologists in Northern Virginia. He is a member of the American Academy of Dermatology, American Society for Dermatologic Surgery, and the Medical Society of Northern Virginia. He has appeared often in national media to share his expertise and advice, including Fox Morning News, Women’s Health and New Beauty Magazine, just to name a few. He continues to be voted “Top Doctor” by Northern Virginia Magazine for several years running. As Medical Director of Reston Dermatology & Cosmetic Center, he is dedicated to offering you outstanding care in a compassionate and nurturing environment. We look forward to meeting you and taking care of your own skin care needs.